Pierre Denjean and his true passion for music led to the creation of a company specialised in the development of sound and lighting solutions: HIT MUSIC. Since its creation in 1991, HIT MUSIC has become a major player in the French and international market. After 25 years of experience, more than 1,000 customers have entrusted the expertise of the HIT MUSIC team. 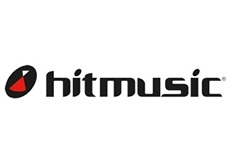 Today HIT MUSIC is the only French company to achieve 100% of its turnover with its own brands, in its business sector. Audiophony, is the first brand developed by HIT MUSIC. It specializes in sound solutions. Audiophony offers a wide range of products for multiple uses: installations in public places, entertainment for DJs, mobile sound systems for institutions or sound solutions for orchestras, nightclubs and bars. Contest was founded in 1999. It focuses on lighting solutions. We offer a vast range of products dedicated to the illumination of public places, light animation for DJs, animators or service providers, as well as installation for nightclubs and night bars. Play2Run is born from the passion of the manager and our staff for running with one precise mission: combining music and sport. In 2012, in partnership with the sportsman Laurent Jalabert -who is the brand ambassador- the first waterproof and totally autonomous MP3 player was released to the market. Today PLAY2RUN offers a range of sport and leisure products available online on www.play2run.com and in more than 400 sports stores throughout France.